Skin problems can be potentially serious for diabetics. In most cases, with early diagnosis, treatment, and proper blood glucose management skin problems can be controlled. Skin problems in diabetics can be linked to a number of causes. As with almost any complication of diabetes, prevention is paramount. Proper blood glucose management is both the preventative measure and the treatment for a number of these conditions. Here are a few examples of common skin problems diabetics may experience. Acanthosis nigricans is a darkening and thickening of the skin typically in the folds of the skin. The skin becomes tan or brown, might be raised, may look like warts, and feels velvety to the touch. Weight loss may improve the condition. Acanthosis nigricans is considered to be a precursor for diabetes, but it can also be caused by acromegaly and Cushing syndromes. Diabetic blisters may occur in people who have severe diabetes and diabetic neuropathy. Blisters that resemble burn blisters can occur on the hands, forearms, legs, and feet. The blisters are usually painless and can resolve on their own. Typically proper blood glucose management is the treatment. Diabetic dermopathy, also known as shin spots, is a result of damage to the blood vessels that supply the skin. Typically, a shiny round or oval lesion occurs on the front of the lower legs. It is normally not painful and will generally not require medical treatment. Disseminated granuloma annulare are ring or arc-shaped rashes on the skin. They range from skin colored to red or red-brown. These rashes occur most often on the fingers or ears, but they can also occur on the chest or abdomen. Typically medical treatment is not required, but a topical steroid may help. Digital sclerosis affects the skin on the fingers, hands, and toes. The skin becomes thick, waxy, and tight. The joints in the affected areas can also become stiff. Treatment includes proper blood glucose management. The use of lotions may help to soften the skin. Eruptive xanthomatosis is caused by uncontrolled blood sugar and triglyceride levels. With severe insulin resistance, it can be difficult for the body to remove fat from the blood. Firm, yellow, waxy pea-like bumps can appear on the skin. These are typically surrounded by red halos and are itchy. The bumps are typically found on the face and buttocks, but they can also form on the arms, legs, back, and any creases in the skin. When the level of fat in the blood is well controlled, the bumps should stop erupting. Itching is caused by a number or causes, diabetics however are more prone to poor blood flow caused by high blood sugar levels. Poor blood flow, typically in the lower legs and feet can starve skin of the nutrients it needs. If your skin is itchy, a lotion may help to keep the skin moist and prevent itching. Necrobiosis lipoidica diabeticorum is thought to be caused by changes in collagen and fat under the skin. The skin above the affected fat and collagen becomes thick and reddened. The lesions are often itchy and painful. They are typically found on the front of the lower legs. Treatment is typically not necessary unless the lesions break open. Scleredema diabeticorum is a rare skin problem that affects people with type 2 diabetes. It causes a thickening of the skin on the back and neck. 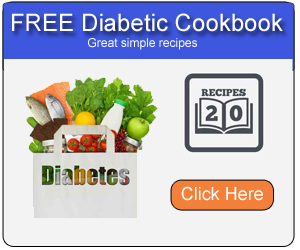 Typically proper blood glucose management is the treatment. Using moisturizers may help to soften skin as well. Vitiligo normally affects people with Type 1 diabetes, though it does rarely affect people who have type 2 diabetes. With vitiligo, the cells in the body that make pigment are attacked. This typically affects coloration around the chest, abdomen, face, and eyes. Due to a loss of pigmentation, any areas affected should be covered with a sunscreen with an SPF of 30 or higher. Treatment for vitiligo may include topical steroids or micropigmentation (tattooing) the affected areas.